Blackboard Chalkboard by Ollie Stone: Chalkboard. Blackboard. A-board. Sign writing. Chalkboard. Blackboard. A-board. Sign writing. 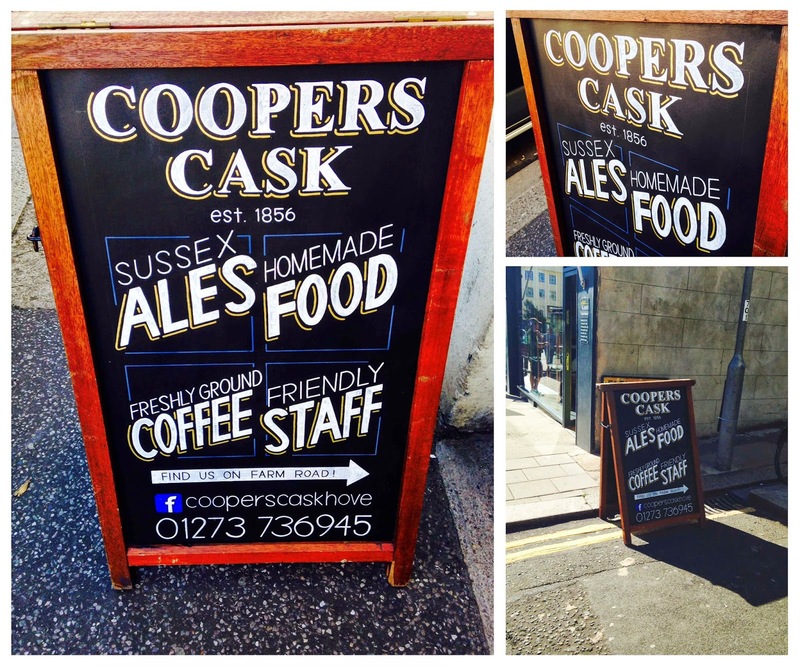 Double-sided A-board for the Coopers Cask pub in Hove.